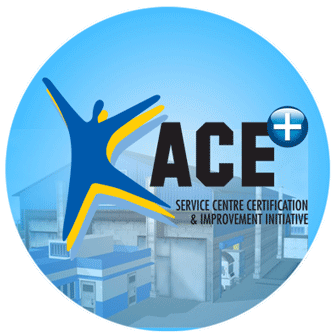 ACE+ is a service centre development programme that has taken Tata Steelium`s service capabilities to the next level. The programme was the first of its kind in the steel industry and was implemented to enhance capability to deliver excellence in product and service customisation across a network of service centres. Each authorised service centre is equipped with state-of-the-art facilities and processes for world-class handling, storage and processing to deliver on the highest parameters of quality and minimise wastage. Incorporation of Quality, Safety, Health & Environment (QSHE) parameters into the programme are focused at ensuring world-class quality assurance systems and inspection norms, with a spotlight on safety and the environment. Customers are also assured of on-time delivery with accurate documentation and the necessary certification.